Common family days out could include a trip to the park, going shopping or on a day trip to the seaside, if you fancy something different then there are a wide range of adrenaline fueled family thrills that will give a whole new meaning to “family time”. The great thing about theme parks is that they have different rides for different age groups and abilities, there is generally just as much to do for toddlers as there is for teenagers and adults. The only exception, at the majority of theme parks, is the lack of facilities for the older generation, even though there will be little for the grandparents to “have a go on”, it can still be an extremely rewarding experience watching the grand kids. There are hundreds of theme parks throughout the world, some of the more well known ones include Disneyland, in Paris and Florida, USA; Blackpool Pleasure Beach in the UK and Alton Towers in the UK. High wire assault courses haven’t been around for a great deal of time but are a great, new found way to improve confidence, keep fit, build on your family bond and most importantly have a great day out. Go Ape offers high wire assault courses in twenty seven different locations throughout the UK and is described as a ‘tree top adventure’. 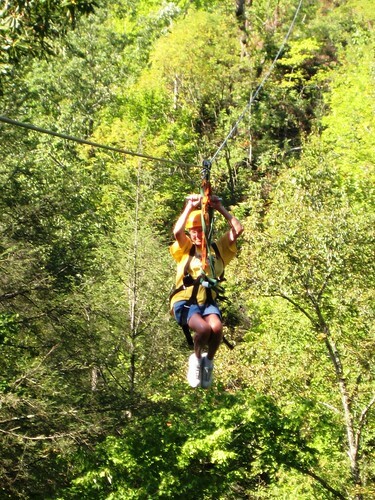 Imagine a typical military assault course suspended one hundred foot in the air, combined with vast amounts of green scenery and tree top zip-lines and you got yourself a superb, adrenaline filled family day out that is guaranteed to tick all of the right family thrills boxes. There is an age restriction, for obvious reasons, of ten years old to be allowed on the course and it goes without saying that you need to be fit and healthy to be able to take part. Go Ape have recently introduced a new activity for those of us who prefer to keep our feet firmly on the ground, yet still looking for a great family thrill. Go Ape Forest Segway lets you explore the forest and take control of a high powered, beefed up, all terrain electric Segway. Better still, make a whole day of it and do the Goape high wire assault course, the Goape Forest Segway and even the Go Ape Forest Biking. Again, due to the activity and physical fitness needed for the Segway and biking it is recommended for children over ten and those of us in good physical fitness. Put your life in the hands of a rope and descend of steep cliff faces. 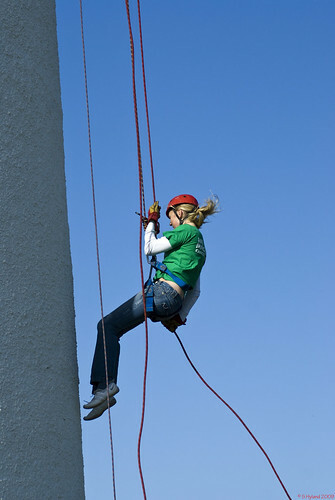 There are thousands of abseiling opportunities around the world, it is essential that you ensure you gain training from a professional, qualified instructor before attempting this activity and it is not recommended for the younger children. Hop into a wetsuit, jump from sea cliffs and make your way around rocky coastlines. Professional guidance and safety equipment is essential and is recommended for the teenage plus age group. Hop on an all terrain 4×4 quad bike and put your driving skills and nerves to the test on an off-road course. With a variety of engine sizes, bike sizes and the choice of fully automatic or manual this is an activity suitable for the children and adults. This post was written by Thorpe Park Breaks; official provider of Thorpe Park Tickets and short breaks.